If you are a NEW STUDENT, please click on one of the links to the right to register and purchase the course. The login block below is for CURRENT STUDENTS. After you register and purchase the course you many use the login form below to log back into the system to resume your course. If you plan on using a pre-paid registration code (i.e. purchased by employer or someone else), please follow the link below to create your account. Only use this form if you have already purchased your course. Welcome to the online RAMP Server/Seller training course offered by Approved Trainer Crystal Hartz. To start the course, simply click below and proceed through the checkout process. Once your account has been activated, you will need to complete your profile before you begin the course. No contracts required and all your training information will be stored for you. Updates/Changes in the law will be emailed to you via a newsletter. Please note that you need to register for an account before you may "purchase" the course. Each course is $20.00 per person, and it includes a FREE re-test if you don't pass the first time. If you are not the one that will be taking the course, do not purchase it under your account. Have the student register and purchase the course through their account. No refunds issued. Deeper discounts available for large corporate groups. Please call 717-443-3998 for more detail or I can program a code for your staff. If you wish to pre-pay for this course for more than one person, please adjust the quantity in the cart to represent how many courses you need to buy. Bulk purchases do not expire and you are able to purchase "any" quantity you need! ** We have added an area in the registration area asking for EMPLOYEE ID#, if it doesn't apply to you, please let it blank. Also - do not redeem another code if you not finish the class in one sitting - simply just sign in with your username and password and it will take you to the page you left off on. 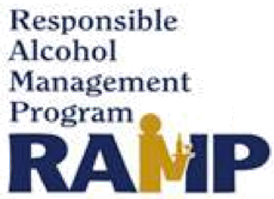 This website and online training program were not created by the Pennsylvania Liquor Control Board (PLCB) however, this course has the approval of the PLCB as a valid curriculum for the RAMP, server/seller training and is provided by Crystal Hartz. © 2019 A DropForge Labs website.